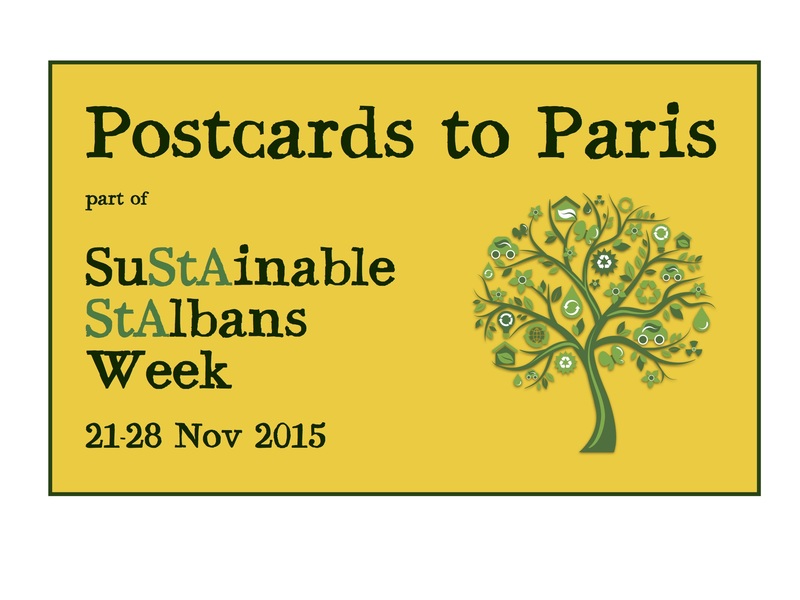 Pick up your Postcard to Paris at our St Albans market stall on Sat 7th Nov and Sun 15th Nov. We will personally deliver 2000 Postcards to Paris with your messages to the Global Climate Change conference in Paris #COP21. St Albans District schoolchildren are writing 1,000 cards and we are asking residents to complete another 1,000! 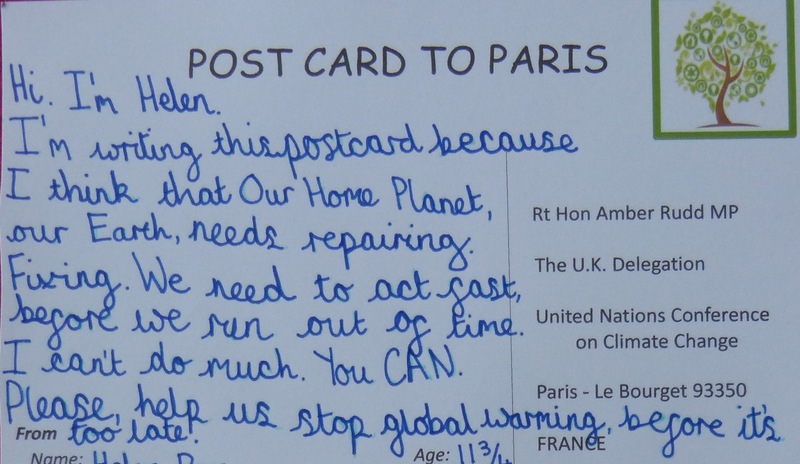 Pick up your Postcard to Paris at our St Albans market stalls on Sat 7th Nov and Sun 15th Nov.
At the conference leaders will try and agree on how to stop dangerous global warming caused by human activity. They are trying to get agreement to reduce carbon emissions to limit the global temperature increase to 2 degrees Celsius. We have arranaged to deliver your cards personally to the Right Hon Amber Rudd MP, the UK Secretary of State for Energy and Climate Change. Step 1: Write your message. 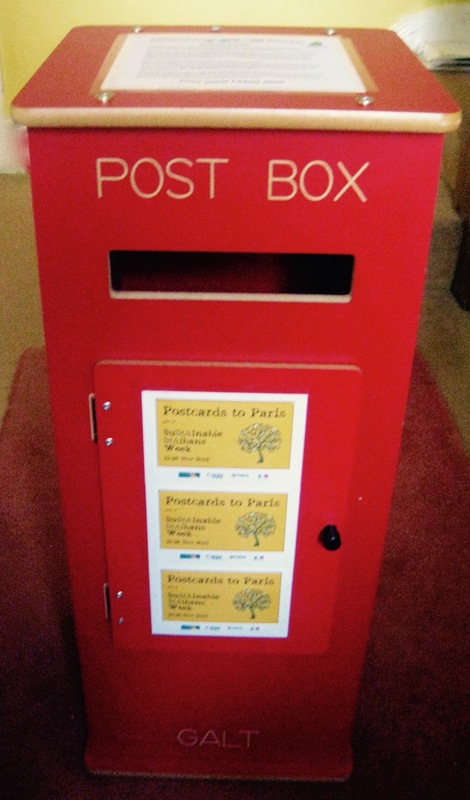 Get any postcard you have around the house, or pick up one of our special Postcards to Paris at our market stalls on 7th and 15th November and events during the week. Step 2: Please write your name and address at the bottom of your card. We will take all the cards to Paris, so just address it to ‘Amber Rudd MP, Paris Climate Change Summit, Paris’.